Adderall has been manufactured by Shire Pharmaceuticals since 1996 and is composed of two kinds of amphetamine salts — dextroamphetamine and levoamphetamine. The medication was developed for children with attention deficit/hyperactivity disorder (ADHD) to enable them to concentrate in school. It has also been used to treat narcolepsy. Adderall has in addition been prescribed “off-label” (i.e. not in accordance with the manufacturer’s specified usage) to treat certain cases of depression and anxiety. The two most common forms are an immediate release (IR) tablet, effective for four to six hours, and an extended release (XR) capsule, good for eight to twelve hours. Adderall is also used off-label and illegally to enhance cognitive function in academic and work scenarios. In these contexts Adderall use constitutes a kind of “cosmetic neurology” — improving normal brain function by diverting the use of prescription drugs meant to treat legitimate medical conditions. Your last dosage of Adderall should take, on average, a little over three days to leave your body. That being said, there are a number of factors that may speed or slow the elimination of the drug. Adderall speeds up your brain activity by increasing the availability of norepinephrine and dopamine. The effect is similar to that created by Ritalin, but Adderall owes its popularity among students to the fact that its effects last much longer — six hours for IR tablets and 12 hours for XR capsules. What happens when you decide to stop taking Adderall? Quitting Adderall after you’ve been using it regularly will likely bring on withdrawal symptoms, including fatigue and what may feel like cognitive impairment. You may experience paranoia, depression, or even symptoms of schizophrenia. Depending on how long the drug was taken and the dosage, some kind of mental impairment may remain for months, or even years. The more extreme withdrawal symptoms correlate with quitting suddenly as opposed to tapering off. So how long will Adderall stay in my system after I quit? That’s a complicated question. We’ll give you the short answer first, then explain which factors might alter the normal outcome. One of the amphetamine salts in Adderall, dextroamphetamine, should be eliminated within 55 to 66 hours, and the other amphetamine salt, levoamphetamine, should be gone after between 60 and 77 hours. To sum all that up, the Adderall should be out of your system within a little over three days, though for a while it may actually feel like it’s still there. Are there any factors that might alter that “three days” prediction? Smaller bodies should rid themselves of the drug faster than larger ones (this based on the evidence that children’s bodies eliminate the drug faster than adult bodies), but not if doses are equal; in this case the larger body will have received a smaller dose in respect to body size and so will be able to rid itself of the drug sooner. If your last dose was taken with food, you’ll excrete the Adderall more slowly. Also note that the absorption and metabolism of Adderall is powerfully influenced by pH, so acidifying substances will speed elimination of the drug and alkalinizing substances will slow it down. Being dehydrated will slow the elimination of Adderall from the body. The three days and a few hours rule is for normal healthy adults. For children you can shave a couple of hours off the anticipated elimination time. We can also assume (although the science hasn’t yet provided evidence of this) that elderly people may take longer to eliminate the drug from their systems. If your body has a larger proportion of fat and not much muscle you’ll get rid of the drug a little faster. Less muscle means less water storage, and Adderall depends on water to keep it circulating in the body. Any kind of kidney or liver impairment will slow the excretion of Adderall. There’s no difference between the elimination rate of Adderall between men and women, but seeing that women on average weigh less than men but take the same doses, their Adderall level will probably be higher relative to body weight and will thus take longer to excrete. The larger the final dose, the longer it will take for you to get it out of your system. The jury’s not quite in on this, but research implies that the more often and the longer the time that you’ve used Adderall the longer it will take to eliminate it after the last dose. How is Adderall tested for? Adderall can be detected in your system via urine tests, blood tests, saliva tests, and hair tests. Urine testing is the most common method as Adderall can be detected for up to three days after the last dose. Testing for Adderall in hair can show Adderall for two weeks to a month or even longer after the last ingestion, but hair needs to be at least three centimeters in length and free of chemical dyes. Adderall can also be detected in saliva, which helps when other testing is difficult or inconvenient. Saliva testing also offers the advantage of detecting the drug even faster than would a urine test — as early as 20 minutes after the dose but normally ranging between one and 48 hours. Blood tests for Adderall and other amphetamines are extremely rare, as they can only detect the drugs for up to 24 hours after ingestion. How can I detoxify from Adderall faster? These tips aren’t sure to make you clean for a drug test, but they may be able to speed elimination of Adderall from your body. Drink a lot of water, and make sure it’s not alkaline. Consume high acid foods like citrus fruit, tomatoes, grains, dairy, sugar, meat, and fish. Take activated charcoal, calcium-d-glucarate, or both. Exercise, which may just be the best possible way to clean the Adderall out of your system. If you’ve been taking the drug for a long time, exercise may also help combat withdrawal symptoms. 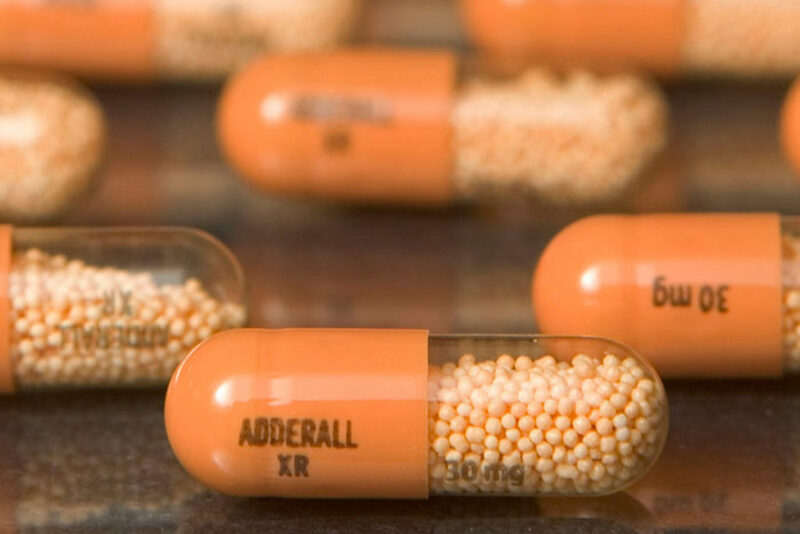 Why has Adderall become such a hot commodity? Once it had become widely known that Adderall could keep people awake and focused for longer periods than normal it was quickly seized on by a culture obsessed with competition, achievement, and production. Those who saw it as a cheap ticket to success were mostly students juggling full course loads, jobs, and active social lives, those working in business and technology, and others, even poker players. The fact that Adderall hasn’t yet been approved as a “cognitive enhancer” (which it probably won’t be because this would constitute a nonmedical use) renders its current popularity particularly worrisome. How do people get their hands on Adderall? Because Adderall has been so heavily prescribed (perhaps overprescribed, as many claim) to children in the last thirty years there are many now in college who have prescriptions for it. They usually have enough extra pills to sell to friends. People who wish to use the drug on a regular basis don’t always have underlying medical conditions that would justify an Adderall prescription but who have prescriptions nonetheless. There’s one story of a Harvard student who had a brother with ADHD and so knew the symptoms well enough to describe them to a doctor, who granted him a prescription for Adderall. He would take the pills to help him study all night, because 15 milligrams made sleep impossible for up to ten hours. He upped the dose during final exams, which he believed helped, but he started noticing odd side effects: He would inexplicably go from racing speech to sudden inexplicable silences. He found it difficult to eat, and later got so caught up in doing research for a paper that he was unable to write it. Eventually he managed to write the paper and hand it in, believing that he was skillfully navigating the tough course of university education and ensuring his future success. In addition to students who hoodwink doctors into believing they have ADHD, the drug is also relatively easy to buy online. And the fact that a perceived dependency can develop just adds to the risk. All this makes it that much harder to stop the drug’s spread. 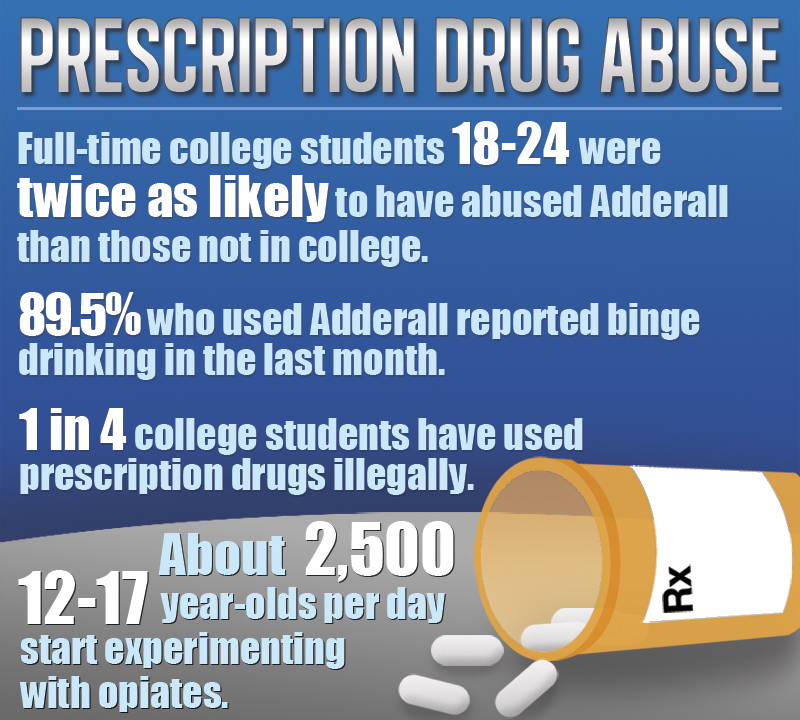 How popular is Adderall among college students, really? A study by the University of Michigan’s Substance Abuse Research Center showed that in 2004, 4.1% of the country’s undergrads had consumed prescription drugs for “off-label” (i.e. unapproved) use, but that some schools had rates of 25 to 35 percent. What are the risks and side effects related to Adderall use? Adderall and similar drugs can cause side effects like decreased appetite, insomnia, headaches, nervousness, and more, and they’re mildly addictive. 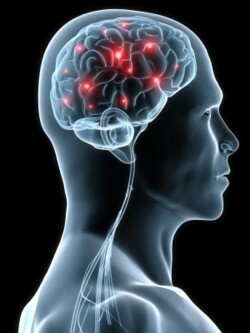 Some users have cardiac problems related to the long periods of sleeplessness. Sometimes Adderall’s power to lengthen and focus concentration gets hijacked away from studies and work and into unnecessary tasks (frantic room cleaning, for example, or organizing your CD library). Some report that papers written while on Adderall are far too verbose. Detractors insist that the perceived successes of cognitive enhancer users places an unfair pressure on those who choose not to use cognitive performance-aiding drugs. Efforts to boost brain power are nothing new. Sir Francis Bacon experimented with a number of natural substances, including saffron, in an effort to enhance his writing and reasoning abilities. Balzac sucked back coffee like there wouldn’t be any more next week, and Sartre used speed to complete difficult philosophical treatises. Nicotine and caffeine have long been the stimulants of choice for everyone from students to truck drivers trying to stay awake on long hauls. And now we have drugs like Adderall to fuel the same perceived need. Social approval for the use of Adderall as a cognitive enhancer has built up quite a head of steam, especially among college students who regard the risk of side effects as minimal. Parents of children with ADHD don’t object because they’ve been giving it to their children for years to help them manage in academic settings. In spite of the known risks, most adult “off-label” users see a world of good and very little harm in using the drug regularly to enhance their cognitive performance. Many claim that it helps them keep their marks up while also working jobs, taking part in student organizations, and partying. The difficulty in part is that we’re living within a society that rewards cosmetic neurology at least as much as it rewards the outcomes of cosmetic surgery; as much as physical beauty is valued and rewarded, superior mental function draws in an even wider spectrum of rewards. Due to information technology and the global marketplace tremendous and often entirely unreasonable demands are placed on those who work with their brains, from brutal scheduling to the expectation of higher performance and more complicated multitasking with no respect for the basic human need for repose. Another factor driving people to use cognitive stimulants is the size of the carrots the corporate world keeps holding out to motivate employees to higher and higher outputs and achievements. This obsession with performance and productivity coupled with the search for a quick fix mean it’s hard to put the brakes on this kind of practice should it prove to get out of hand. The greater the demand for a drug the more of it will be produced, and the more it’s produced the more uses will be found for it and the more diagnoses will made to justify prescriptions. Pharmaceutical companies can’t condone the use of a drug for anything but scientifically proven medical uses, but they have been on occasion officially reprimanded for marketing medications in a way that either makes people think they need them or persuades people that they could prove beneficial for off-label uses. 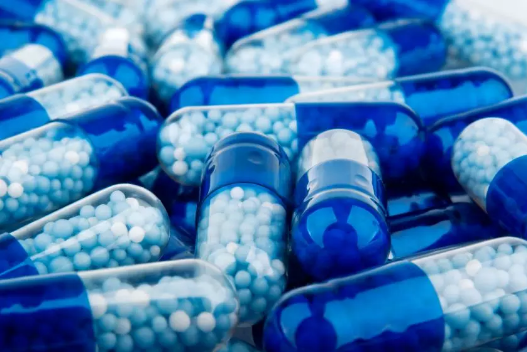 Another problem is that the drugs are presented in the mainstream media with terms like “smart drugs” and “cognitive enhancement,” which tends to confuse consumers regarding the actual benefits of such drugs. The scientific literature shows that although it may result in higher marks and workplace production on brain matters, all Adderall does is simply keep you awake and alert longer. Because so many people now assume, despite evidence to the contrary, that Adderall actually makes you smarter, the only question that remains for them is whether or not it’s ethical to use it for that purpose. How is Adderall use for cognitive enhancement an ethical question? First of all, it’s illegal to use Adderall for off-label (nonmedical) reasons, even more illegal to convince your doctor that you have ADHD when you don’t, and even more illegal to sell the pills (“diverting”) to your friends to help them get through exams. The media and popular imagination have presented anecdotal support of Adderall’s benefits— support that science dispels. The following are just a few of those myths along with science’s rebuttals. MYTH #1: Adderall will make you smarter. FACT: All that Adderall can do is to help you stay awake and focused for longer periods of time, helping your brain to overcome fatigue and boredom. The benefits are short-lived; once you stop taking the drug you may even experience a decline in cognitive performance as a result of having taken the drug. It doesn’t enhance the brain’s capacity in the long term. There’s also evidence to suggest that the great results some users report after using Adderall are derived on the emotional high the drug delivers, granting the user a rosier opinion about their performance than is actually there. MYTH #2: Workplaces can benefit if workers use Adderall. FACT: There’s evidence that Adderall enhances brain performance, which can lead to success in certain competitive environments. But these environments are in themselves abnormally competitive and disregard the human need for physical and mental repose. Such workplaces impede personal development, self-actualizing, and creativity, all elements without which real progress is impossible. MYTH #3: Adderall is used for cognitive enhancement by people who are already brilliant. FACT: Studies show that Adderall is less successful in enhancing the mental performance of people with above average intelligence. The people it actually helps are usually of average or below average intelligence. A student is more likely to turn to Adderall if they’re struggling academically. MYTH #4: Students who use Adderall do so because of a strong work ethic and a desire to succeed at all costs. FACT: Adderall use is a marker for abuse of other drugs such as marijuana, opioids, and alcohol. 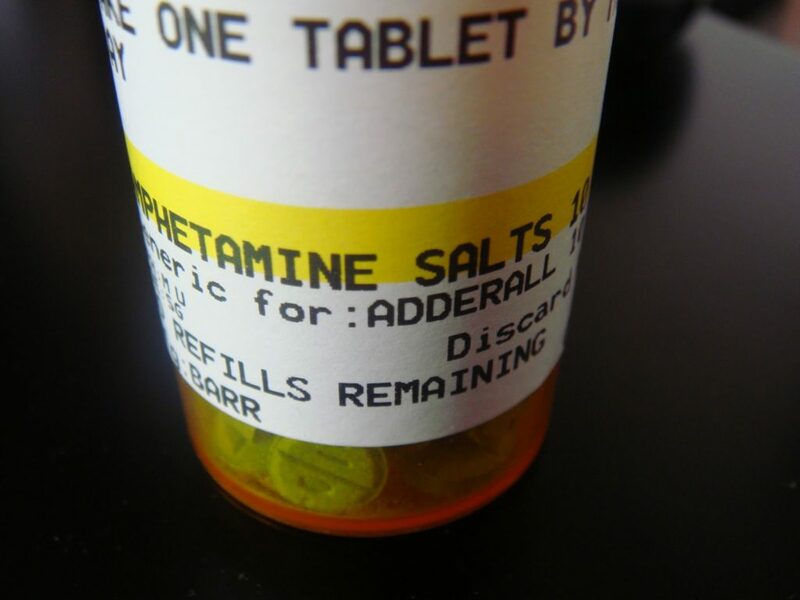 Most students who use Adderall do so to balance school work with a heavy partying schedule. MYTH #5: Adderall is safe. FACT: Adderall is safer and less addictive than most opioids, but because those who take Adderall for cognitive enhancement are also at risk to abuse other substances, there is a danger of the effects of combining the drug with other narcotics. Not enough research is yet in place to determine what actually might happen were Adderall to be mixed with other drugs, but the mere fact that Adderall helps people stay awake partying longer — no doubt with access to narcotics — means the door to overdose just opened a little wider. The disorientation, jittery nerves, and paranoia resulting from long periods of sleeplessness also put users at risk if they drive or operate machinery. Another danger is that you’ll become dependent on Adderall to execute responses in emergency situations. What happens, for example, if you’re a paramedic responding to a car accident with multiple injuries, but you’ve run out of Adderall and can’t find any more? MYTH #6: Everyone else is using it, and if I don’t use it I’ll be at a competitive disadvantage. FACT: Despite the propaganda, people who use Adderall for cognitive enhancement are still a minority, and Adderall use may be more of a leveler than an unfair advantage, allowing people with lower academic skills to perform on par with naturally high achievers. To summarize, Adderall has specific medical uses for people suffering from ADHD and several other disorders, but the growing nonmedical use of the drug is cause for concern. Those who think they may be missing out if they don’t take it should know that taking Adderall to enhance brain function may have some temporary benefits but that in the long-term intelligence is not improved. And the side effects and long-term problems that may arrive later as a result of Adderall use are probably too high a price to pay for any short-term rewards. To date not enough is known about the danger of mixing Adderall with other drugs, in spite of the fact that many, including a growing number of adolescents, are using the drug for recreational purposes. Caution is recommended. Removing the drug from your system is best handled naturally, with time. When you’re back in good form after the withdrawal phase, you might want to seek out environments — both academic and career contexts — that affirm and support your humanity instead of demanding that you function like a well-oiled machine. You might also ask yourself if some of the activities you’re staying awake for are helping you, hurting you, or simply wasting your time and money. These are the kinds of wisdom-based concerns with which drugs like Adderall will be no help whatsoever.